The Darlington Civic closed in order to undergo a major £12.7 million refit. The work is now complete and the venue has reopened as the Hippodrome. 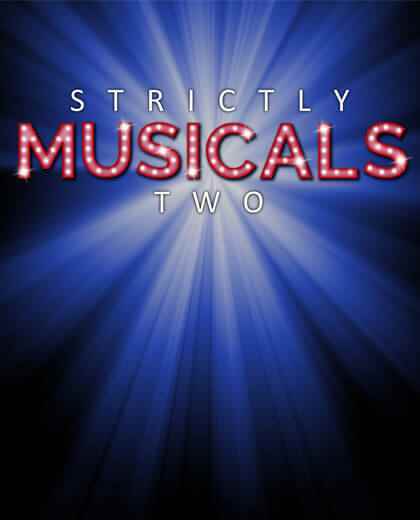 Strictly Musicals 2 is the opening show and it is fitting that the show, from the Darlington Operatic Society, is a complete sell out. This shows there is a demand for high quality theatre in Darlington. Firstly a few words about the theatre. It feels very different as you enter the building, partly because you now go in through the other side of the building. But partly because they have effectively added a new building to the side that used to have a restaurant and the box office. There are now of number of bars on each level and various galleries to enjoy as you wait for the auditorium to open. It has a modern and clean feel which is contrast to the historic wonder of the interior of the actual auditorium itself. The venue didn’t appear to be suffering any first night nerves and things were running smoothly. I hope there will be a few more signs going up. It wasn’t obvious where the box office was nor was there much signage on the upper levels to explain the direction to the seats from the main stairs/lifts. I also actually missed the super fast hand dryers that were in the old building. Sad but true - these are minor quibbles and I was very impressed with the new parts of the building. Once inside we have new seating. I was in the dress circle and found the seat comfy for the 3 hours that I was sat in it and the leg room was sufficient. Not all recent theatre refurbs have installed comfy seating so that was a definite plus. I had a look at the stalls and I noticed the aisles have moved to the very edge of the room so more seats are centrally located in front of the stage. The red décor has gone and the auditorium has a historic yet fresh look about it. On to the show. The first act had medleys from Top Hat, Phantom of the Opera, We Will Rock You and Joseph plus an additional 9 songs making for a long run before the interval. The individual songs were a eclectic mix from the likes of Ghost, Starlight Express, Wicked and Jersey Boys. Highlights were definitely the Phantom medley and Hard Candy Christmas from Best Little Whorehouse in Texas. It was clear from the off that the show was going to feature a very tight band under musical director Steven Hood and some great choreography from Joanne Hand. The company too are incredibly talented and often made the songs their own. The second act, for me was a little tighter. Opening with a Mamma Mia medley, it had popular hits from Miss Saigon and Chess. 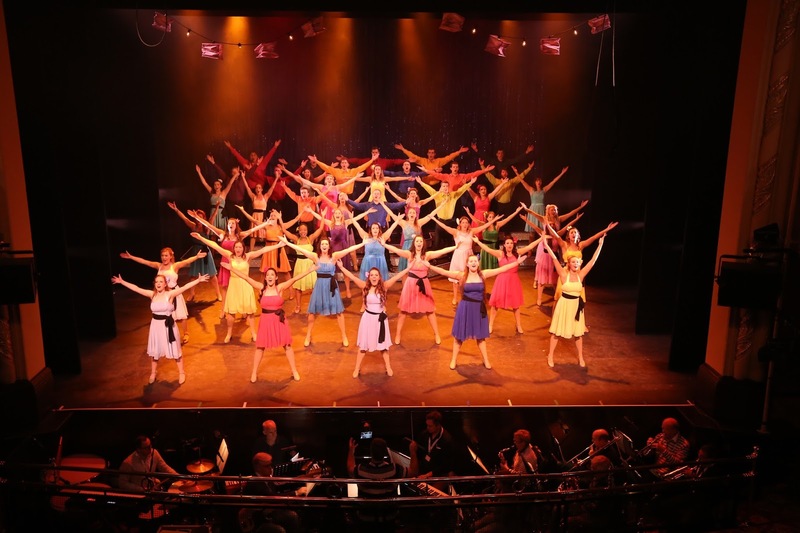 Highlights included Luke Oldfield leading the chorus on the fabulous Run Freedom Run (lets hope one day Darlington gets to see the full musical); Julian Cound and Sam Morrison’s duet Same Umbrella in the Rain from Little Women and the fabulous Seasons of Love from Rent. The second half also featured some less well known musicals too. The show had a costume change for each song so clearly the changing rooms were being put to the test too. 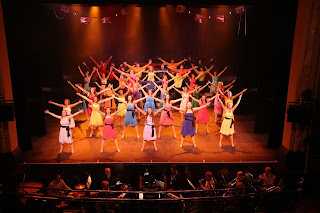 The evening featured a large number of really talented singers and dancers supported by a band which had real quality. Perhaps the evening would have been tighter if it had been a little bit shorter and a couple of the more obscure songs had been cut out from each act. That aside, the evening was enjoyable and it is a fine start for the theatre. I look forward to returning to the venue again soon for the panto.